But in a dramatic account posted to Facebook, Ferguson noted that within an “hour or less,” she was screaming at new moms and dads to grab their precious newborns and follow her to safety. Ferguson noted that the group of patients included one mother who had just given birth via C-section. Doctors, nurses and emergency crews hustled to get all the patients into ambulances and transported to the Enloe Medical Center in Chico. Bu then, another crisis broke out. 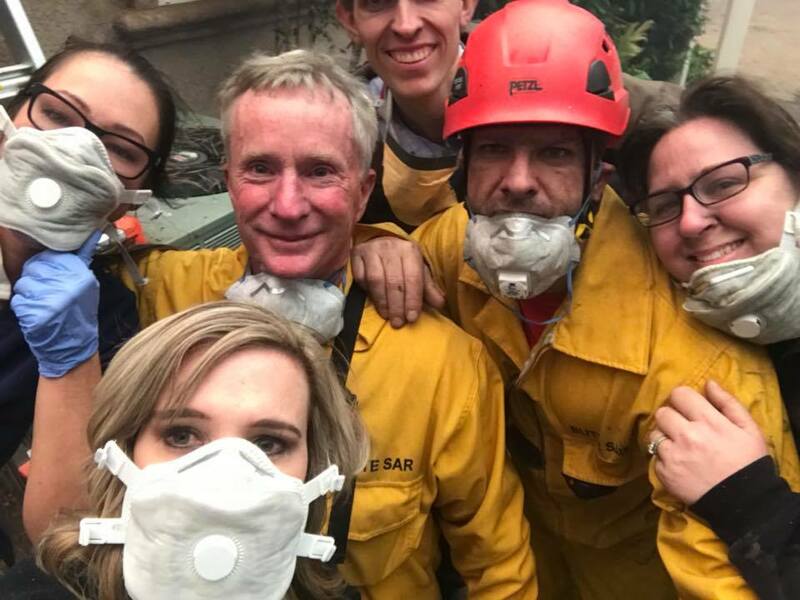 The nurse admitted she was “scared, hopeless, and desperate,” as the flames encroached on the facility they had hoped would be out of the inferno’s reach. She and another staff member, Chrissy, desperately managed to beat back some of the smaller flames, while keeping the patients calm and reassured. Then, the brave nurse spoke to her boyfriend, a police officer. He managed to calm her down and insisted that he and his colleagues would be on the scene very shortly. But they did. Every single one of them. After finding their way back to the Paradise Hospital, all the staff and patients were loaded into emergency vehicles and driven to safety.